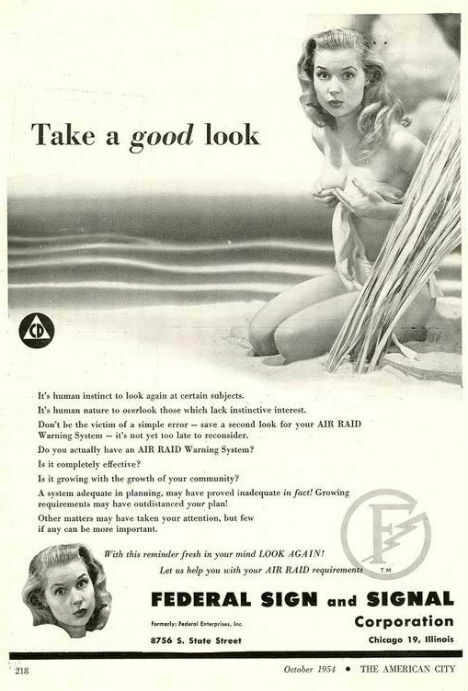 Look out – communists are infiltrating the country with nefarious plans to sterilize our men, steal our women and convert children! 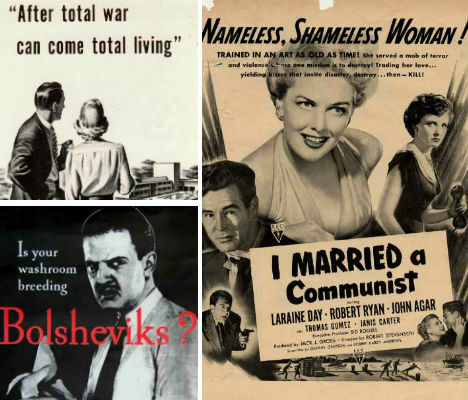 Dramatic and overwrought, anti-communist ads and propaganda from the Cold War era attempted to inspire loyalty to democracy and fear of the atomic bomb-wielding enemy – and at the same time, somehow soothe Americans’ concerns about the possibility of ‘total destruction.’ These 15 examples include ads for everything from telephone services to milk, as well as pamphlets, comic books and films. 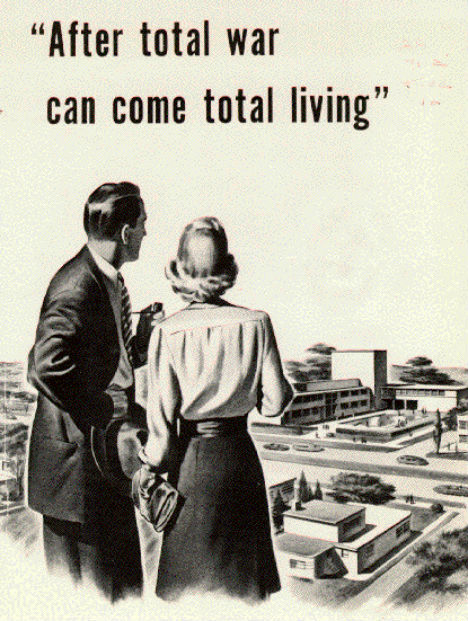 Would this poster make you feel any better about the possibility of total nuclear annihilation? 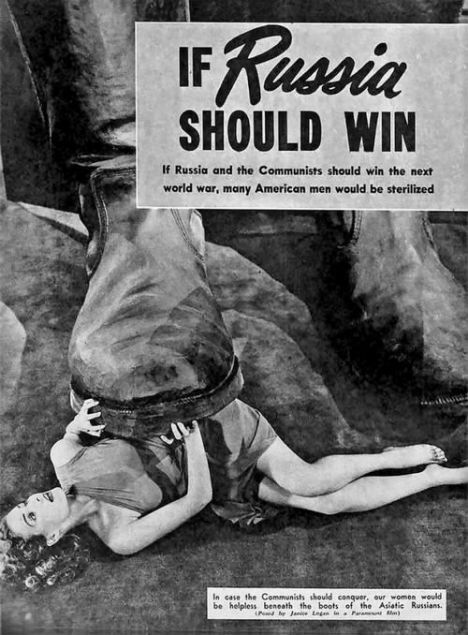 The government distributed propaganda like this during the Cold War to soothe the fears of U.S. citizens after the military strategy of Mutual Assured Destruction (MAD) Doctrine was put into place, which proclaimed that if either the United States or the Soviet Union dropped a bomb, the other would drop one in retaliation, continuing until both countries were destroyed. 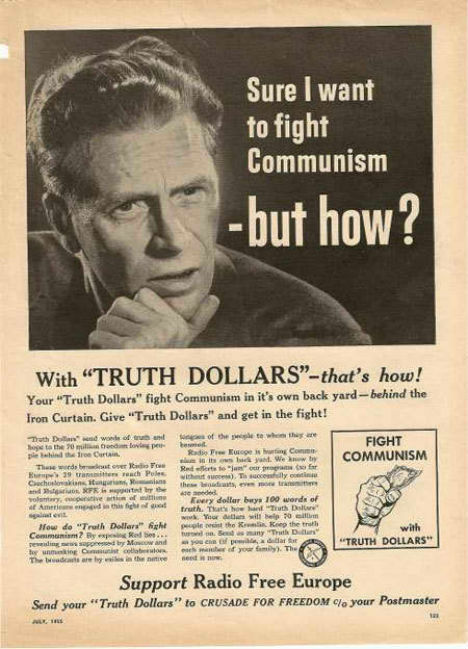 Sure I Want to Fight Communism – But How? 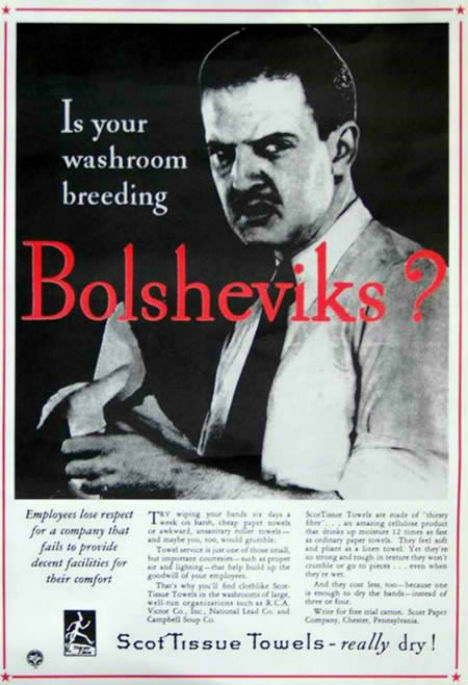 This advertisement might seem like a joke, but it’s a real vintage Scot Tissue ad that first appeared in the 1930s. “Employees lose respect for a company that fails to provide decent facilities for their comfort,” it reads.